Some of San Francisco’s best restaurants open only for dinner, but that doesn’t mean you can’t find a great lunch. 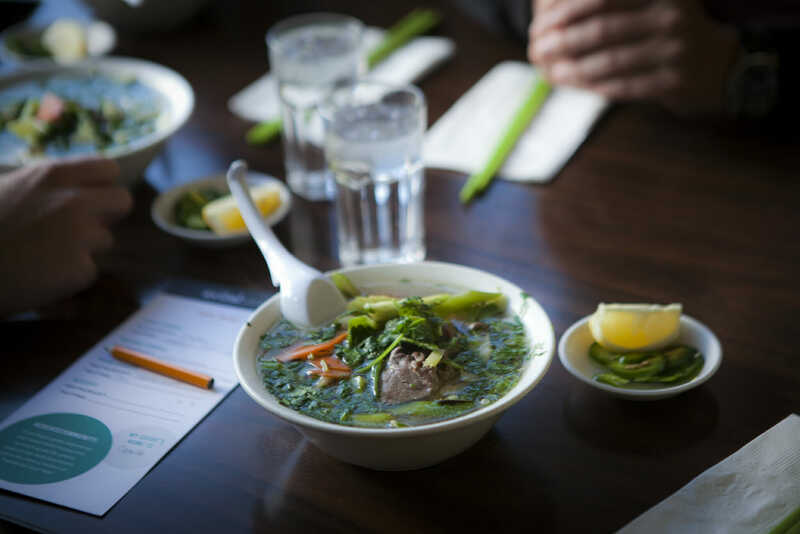 We know a good mid-day meal is important, so we rounded up the best places to eat lunch in San Francisco. Zuni Café’s roasted chicken and bread salad is one of the most famous dishes in San Francisco. 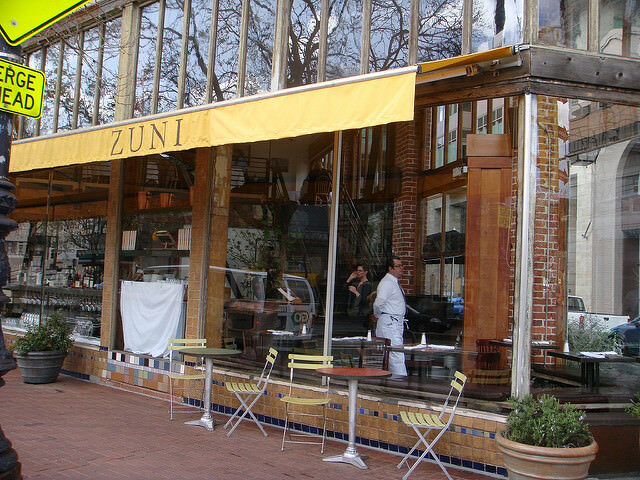 Zuni has been around since 1979 and is a James Beard award winner. (Think: the Oscars of the food world.) Lucky for diners, the salad is also available on the café’s lunch menu, along with most offerings from the dinner menu. Lunch is served from 11:30-2:30 pm but the restaurant also has a smaller “afternoon” menu from 2:30-5:45. Zuni is right on Market St, in the center of the city, and a quick walk to the sweet neighborhood of Hayes Valley. Owners Rich and Laura of Sotto Mare are some of our favorite people in North Beach. 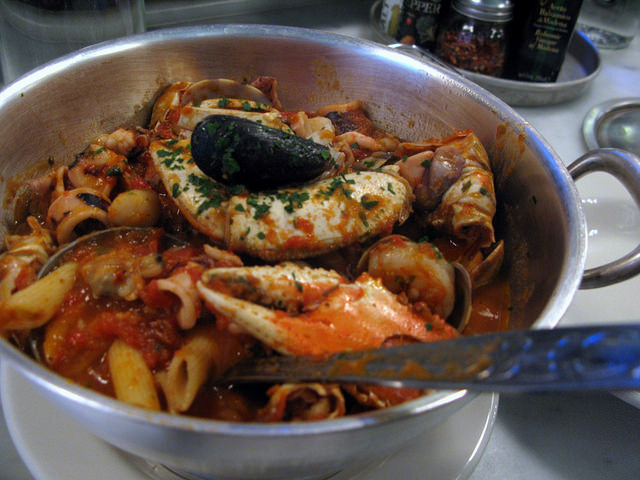 But of course, we don’t visit just because we like them-their food is also some of our favorite in North Beach. Sotto Mare often has a wait at dinner, so our favorite skip-the-line-trick is to order our cioppino during lunch. Take advantage of the emptier restaurants by grabbing a table or seat near the bar’s open kitchen so you can watch your scallops, shrimp, crab, or fish be prepared right in front of you. 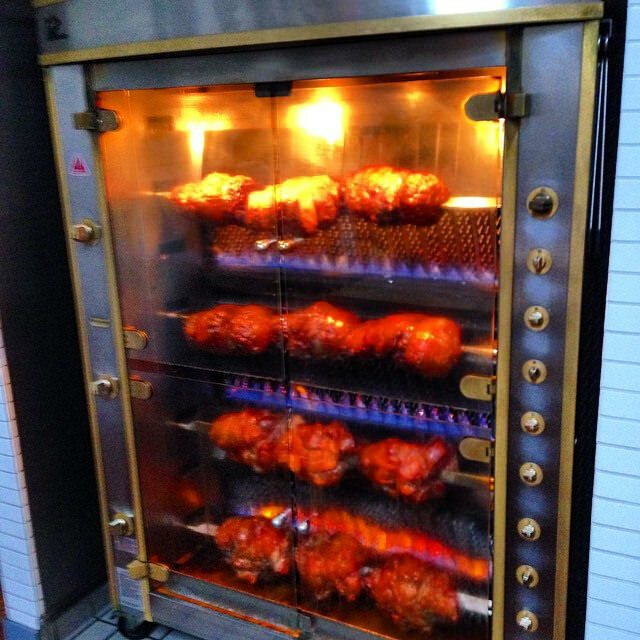 Souvla is the kind of place that’s quick, but still delicious. Their Greek lamb, chicken, and pork salad and sandwiches are worth the wait. (Don’t worry-the line moves fast.) We’ve also become huge fans of the frozen Greek yogurt, especially with olive oil and sea salt or topped with baklava. 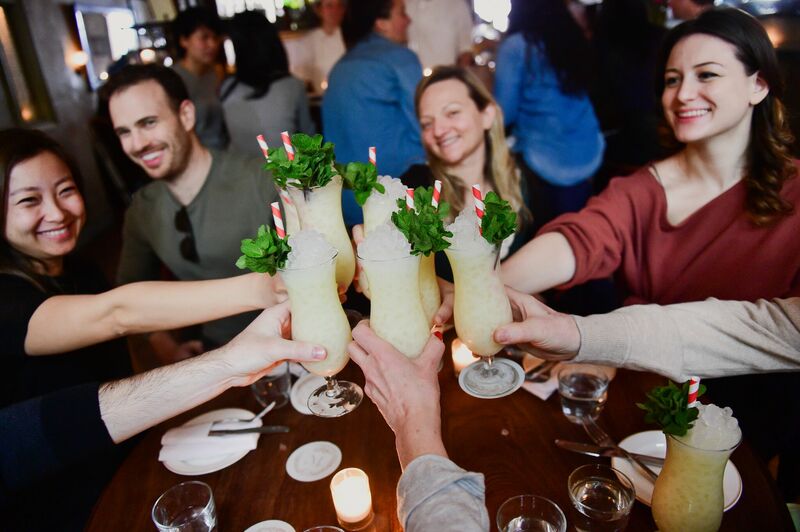 The spot has become so popular that a second location recently opened and a third is opening in the Mission, soon. When the weather is nice, we like to eat our lunch outside. 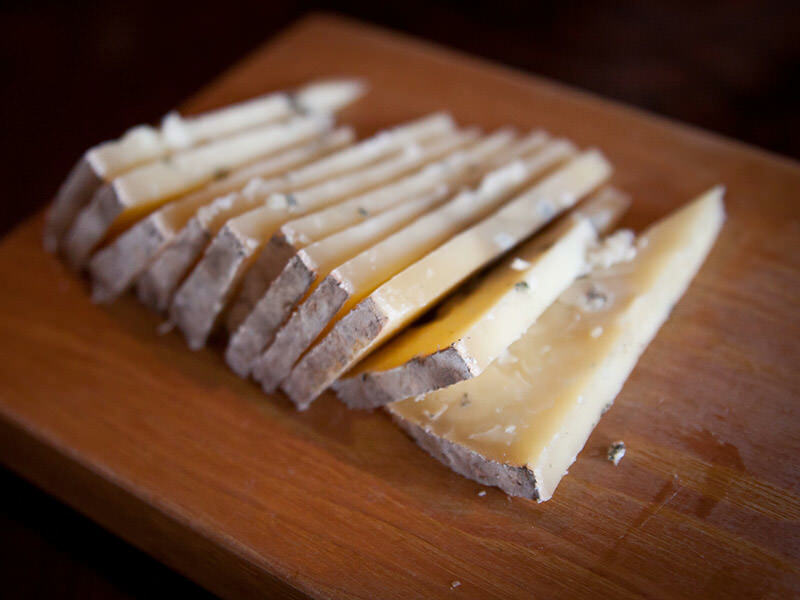 One of the many reasons we love Mission Cheese (in addition to their diverse selection, friendly and knowledgeable cheese mongers, and Gouda chocolate chip cookies) is their great outdoor seating area in the heart of Valencia Street. Order a cheese flight and a local beer, and your set for a lunch of champions. This grab-and-go spot epitomizes “hole in the wall”. Located in the Tenderloin, Saigon Sandwich isn’t somewhere you’d notice when walking by, except for the fast-moving line. 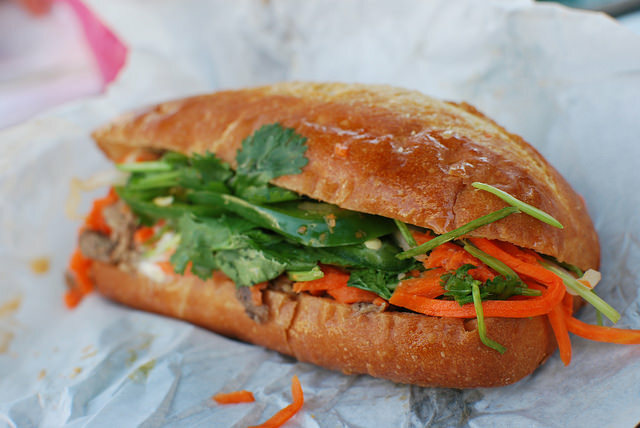 Sarn Francisco can be an expensive city to eat your way around, but at Saigon Sandwich you can get a bahn-mi for less than $4.50. Local tip: bring cash and know what you want before you get the counter. The women up front are more about efficiency than chatting-which is why the line moves so quickly and probably why the food is so good. 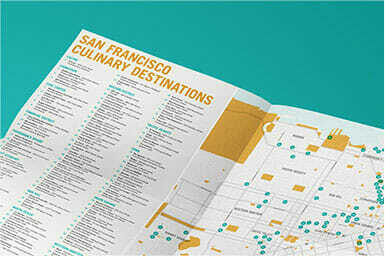 Want to visit the best places to eat lunch in San Francisco? 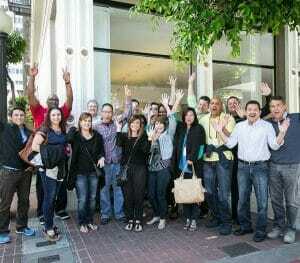 Visit avitaltours.com to book a culinary experience and we’ll show you our favorite spots around San Francisco.